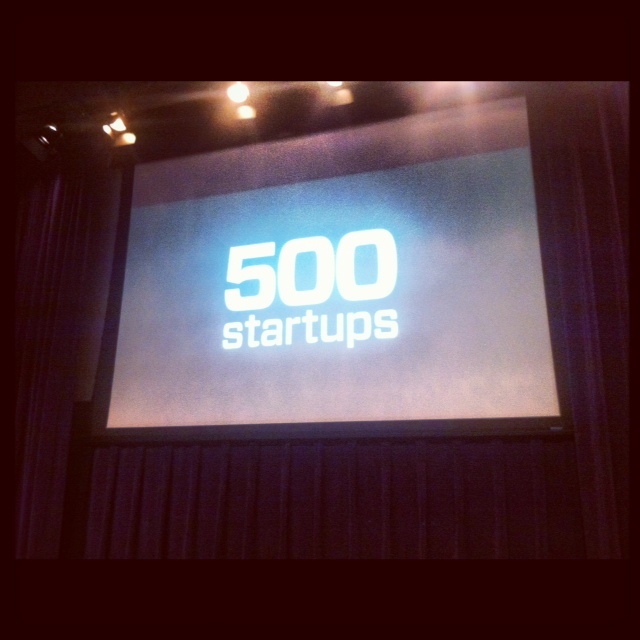 We attended the 500 Startups demo day in Mountain View today, hosted by Dave McClure. As usual, McClure brought his excitement and lust for startups to the show and we were entertained with about 27 different companies with interesting and unique ways of changing the world. The idea behind Sqoot is that more companies are selling digital goods and services to businesses these days. But how can your company know if say, a coffee shop, is savvy enough to understand what you’re selling? Sqoot jumps in to give you a rating between 1-100 on how savvy a business is. If say, a restaurant has a website, Twitter account and Facebook page, they’d get a higher rating than someone with a simple website only. This is a really interesting idea and during the demo, it was referred to as “Klout for Small Biz”, which I think sells it severely short. This is a great kickstarter for digital B2B, and I think these folks could go places. Why spend all of your time digging around a site like Etsy for the perfect give for yourself or someone that you love? Why not let curators do it for you? Bare with me here, because this is a brilliant idea. UmbaBox lets you sign up for a monthly box to be sent to you, which is jam-packed with handmade goods from Etsy. The site has already done about 3K shipments, and has 90% retention, which is pretty good for an upstart. Think “Jelly of the month club”, but with cool artisan stuff. This company calls themselves the “social better business bureau”, but it’s really something like Causes that lets you sound off on something that’s bothering you about a company and then allows other people to hop on the bandwagon. Think of it as a more structured petition site. You can share a story and connect with people who have experienced the same thing, rather than simply complaining on Twitter, where tweets go to die. Want to make a company like AT&T or Comcast to change their ways? Check out PublikDemand. We’ve told you about Twitmusic, but the company has seen such impressive growth that it’s important to bring them up again. The site lets you share music with your friends on Twitter easily, and has attracted some big names to exclusively release their tracks using the site. According to Twitmusic, songs played on its service have 6 times more plays and 11 times more engagement than tracks see on similar sites like Soundcloud. Twitmusic has 8K music artists with 30M Twitter followers sharing 275K tracks. The site gets over 200K unique pageviews a month, and is rising. Keep an eye on these folks, they’re cracking the music and Twitter connection better than anyone else right now. I’m a fan of Dropbox, it’s a great way to share files with co-workers and friends. However, there’s no real way to take notes on the files that you’re sharing. The company Groupiter lets you create changelogs on the fly that pop up an update to those who are a part of a shared folder on Dropbox. If designers use this, imagine how much time can be saved by having conversations around updates on files, rather than having to use email. This was by far my favorite company of the day and I think there’s a real opportunity to grab a lionshare of the folks using Dropbox. Stay tuned for the next batch that should definitely be as good as this one! Read next: Intel promises 160 new tablets and ultrabooks, but how many will be worth a darn?